Chancellor rejects “cancerous ulcer” statement as “unacceptable” and affirms: “Israel’s security is not negotiable for Austria”. 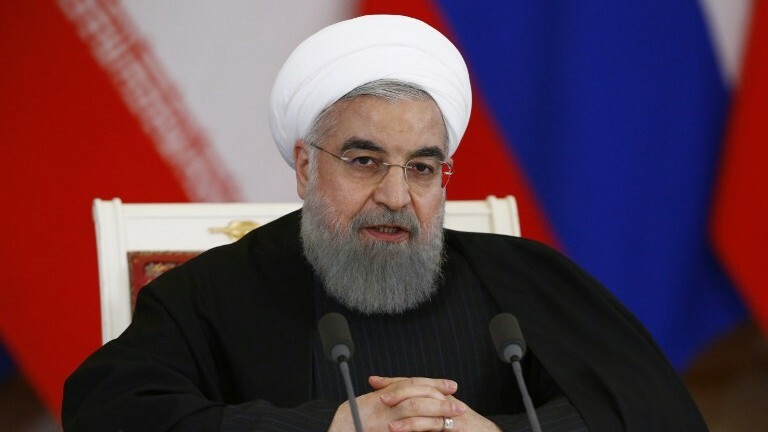 Federal Chancellor Sebastian Kurz (ÖVP) has sharply rebuked Iranian President Hassan Rouhani for saying that Israel is a “cancer.” “I strongly condemn the recent unacceptable statements by President Rohani regarding Israel,” Kurz wrote on Twitter on Saturday. “It is absolutely unacceptable for the right of existence of Israel to be questioned or the destruction of Israel is called,” said the chancellor, who in another Tweet reaffirmed the importance for Austria the resolute fight against all forms of anti-Semitism and support for Israel was, “The security of Israel is not negotiable for Austria,” said Kurz. Shortly on Wednesday at an EU conference against anti-Semitism and anti-Zionism, his commitment to Israel was underscored by the applause of top representatives of Jewish organizations. He also expressed criticism of EU policy towards Israel and spoke in this regard of a “concerted action against Israel” within the United Nations, which earned him sharp criticism by the Palestinian ambassador in Vienna, Salah Abdel Shafi. Unlike the US, Europeans have so far stuck to the Vienna nuclear deal with Tehran, which Israel has massively fought against. Briefly had to come for the decision to receive Rouhani in Vienna, sharp criticism from Israel. “The invitation to Rouhani is in stark contrast to the concern expressed by Kurz for Israeli security,” commented Efraim Zuroff, head of the Jerusalem-based Simon Wiesenthal Center, commenting on the visit in light of Kurz’s widely acclaimed statement that security Israel’s part of the Austrian state rationale. The Iran-critical alliance “Stop the Bomb,” which protested loudly against the Iranian president’s visit, dismissed the Chancellor’s testimony to Rouhani’s address as “pure rhetoric.” “We will not let such rhetorical phrases in the eyes,” said “Stop the bomb” spokesman Stephan Grigat the APA, immediately after the performance of the Chancellor. “That’s what Europeans have been doing for 40 years.” The Iranians have therefore “learned to take note of it routinely and shrug their shoulders, because it remains inconsequential”. By contrast, the American-Jewish Committee (AJC) noted: “We wish that the Iranian President would not have been received in Vienna, but note the strong words of Chancellor Kurz in Rouhani’s presence.” Israeli Foreign Ministry spokesman Emanuel Nachshon also shared Kurz’s statements on Twitter.